Having read the critically acclaimed novel of the same name by Yann Martel, I was eagerly anticipating the film's release when it was announced. Directed by the notorious Ang Lee (Crouching Tiger Hidden Dragon, Brokeback Mountain), the movie is already deemed a 'visual masterpiece' and highly tipped to win a few Oscars at the upcoming awards season. Piscine Patel (Pi for short) grew up in a zoo in India and at a young age is introduced to Hinduism. 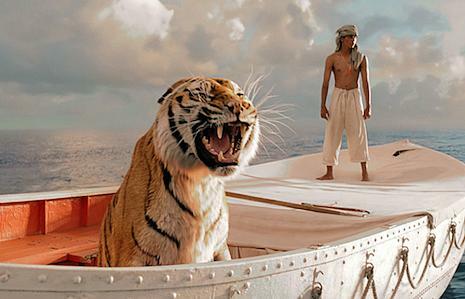 Curious about other religions, Pi soon finds God in the form of Christ and Allah... but when he truly experiences God is on his epic journey of survival on board a boat with a Bengal Tiger (called Richard Parker) in the middle of the Pacific Ocean. 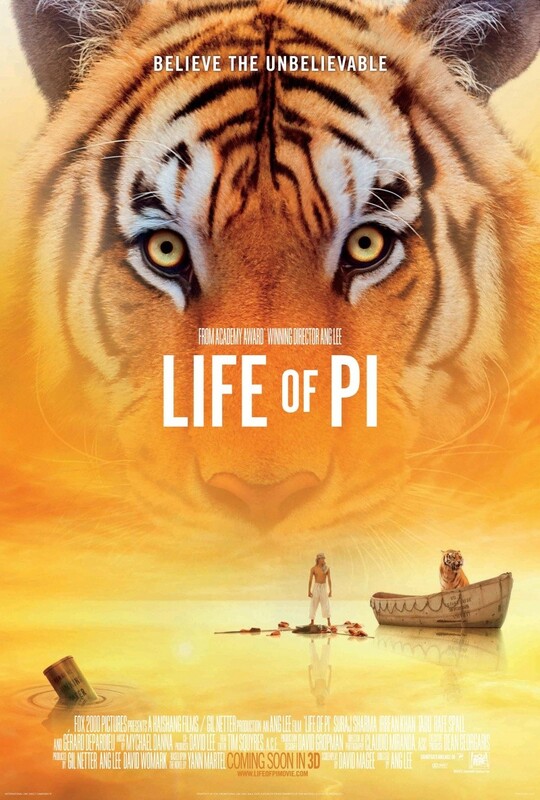 Pi's father decides to sell the zoo and move to Canada to make a better life for Pi and his brother Ravi, so taking the animals with them and aboard a Japanese freight ship they go; Pi leaving his first love behind. During a tropical storm, the ship is wrecked and Pi is the sole survivor of the wreck, in a lifeboat with an injured zebra. After rescuing a mother chimpanzee as well as Richard Parker, a hyena emerges from below the canvas of the boat and Pi finds himself experiencing the realities of the food chain. Amidst this strange predicament, Pi is eager to survive and through determination, strong will and a bit of faith, he discovers how to share a boat with a Bengal Tiger, all the while experiencing the beauty, the amazingness and the treasures of the ocean. The introduction to the movie was visually spectacular, showing the colourful and bright India and an array of animals, which were delightful to watch- capturing our attention right from the start. With a rather long build up to when Pi actually gets on the boat, the movie follows the layout of the book pretty accurately both in terms of plot, depth and detail. For those who haven't read the book, this background may seem a bit of a bore and you're eager to see the action, but it definitely builds up the character of Pi, essential to reaping the rewards of the movie to the full extent. 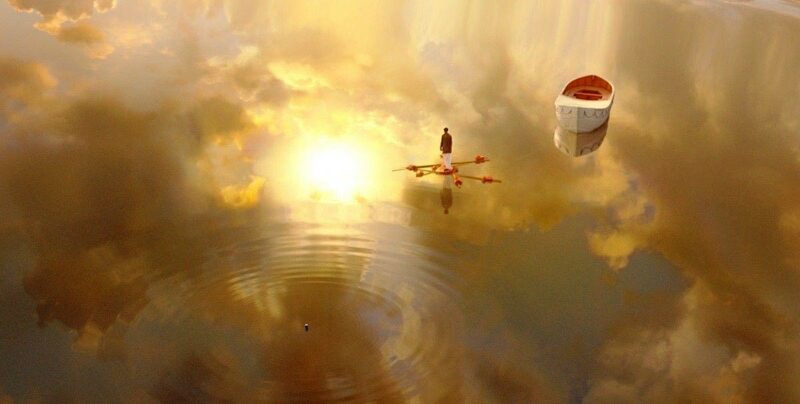 The mood of the movie is directly related to the stunning visuals, which is perhaps a strong point for the film. Darkness descends as the boat wrecks and there is a strong sense of loss, despair and loneliness. This can also be seen in the motion of the sea, as Pi experiences so many delights but also trials. 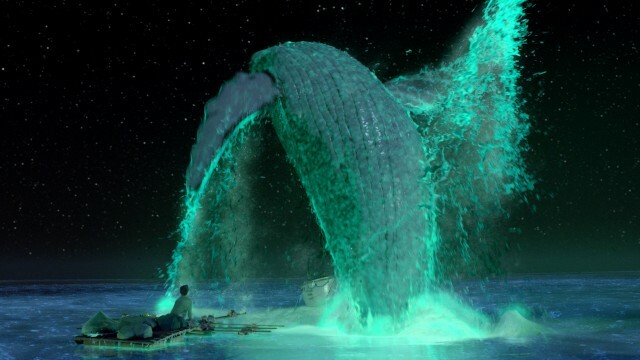 One of my favourite scenes has to be the luminescent jellyfish and the giant whale leaping across the lifeboat (slightly ruined by this scene being shown in the trailer) but nonetheless magical. I also loved the changing colours of the water and the dynamics of light and reflection. 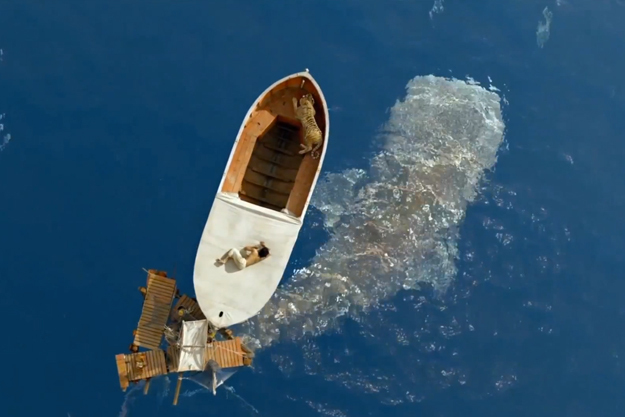 I also particularly like the symbolism and certain iconic scenes in the film, an example being the one which reinacts the cover for the book, featuring Pi lying on the tarpaulin with sea creatures beneath the water. These subtle references add depth to the movie which will please those that have read the book. However, one of the negative aspects would be the lack of a real climax, which the book also lacks but is made up for by the shocking ending; here I am not so forgiving. To the regular cinema goer, the movie just seems to end and lacks any sort of real satisfaction- so I definitely recommend reading the book first. With regards to 3D or no 3D, the film was made as a visual spectacle so to not see it in 3D would be an abomination. That said, only a few scenes were really three dimensional and the rest of the visual delights would be just as enjoyable in 2D. The rather unknown cast worked well for the movie, shifting the focus from the actors to the meaning, the message and the visuals. Tobey Maguire was initially cast but removed due to his relative fame, potentially overshadowing the main actor. Suraj Sharma was likeable to watch although was not as gripping as Irrfan Khan, who despite his short screen time, managed to pull a hat full of emotion, humour and mystery. 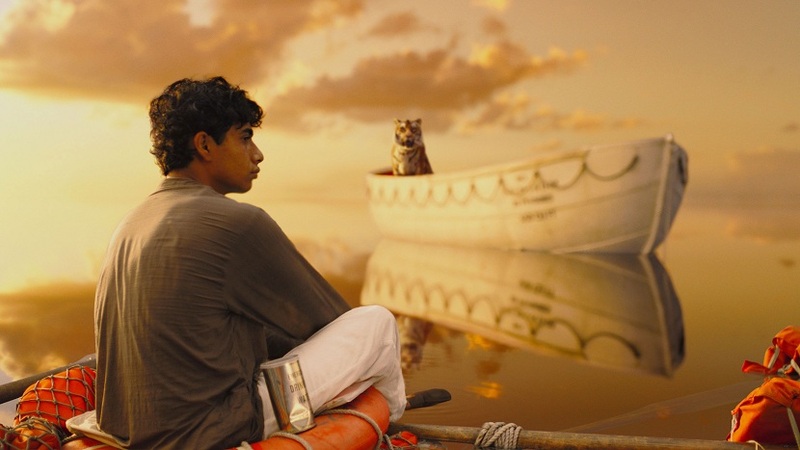 'Life of Pi' tells of a wonderful story of survival, faith and self discovery but gets a Hollywood visual treatment which makes it an absolute visual delight. Readers of the book enjoy it the most but there is still a huge amount to satisfy those that have not. One of the most hyped movies this Christmas (alongside The Hobbit: An Unexpected Journey) due to the epic trailer (even if it is slightly misleading), this is definitely a must see movie even if just for the visuals and artistry. Expect this to win the best visual effects Oscar at the minimum. On a side not, this movie is rated at a PG, but I felt it contains scenes where it might be upsetting for a child (involving the tiger and other animals *wink wink*) and it evokes strong feelings of loss and tragedy.